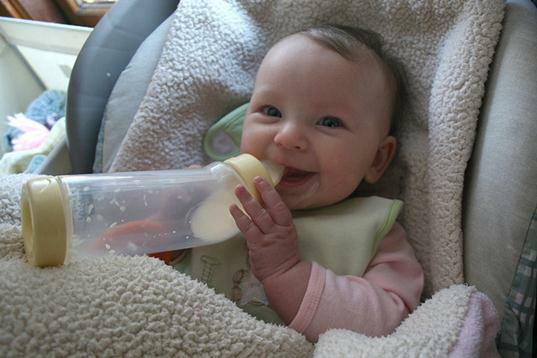 Baby bottle manufacturers voluntarily haven’t used bisphenol A (BPA) in baby bottles for years. In fact, you’re hard-pressed to find BPA laden baby bottles at all at this point. Apparently, the FDA thinks this calls for immediate action, so on Tuesday they announced that from now on BPA is officially banned in baby bottles. Seriously? Excuse us while we fail to get excited. First of all, the ban is only for baby bottles. The official ban does not cover other uses of BPA, such as BPA used in containers for baby formula, water bottles, soda bottles or in the linings of canned foods or other food packaging. CNN notes that this decision is ”largely symbolic,” while the New York Times credits the American Chemistry Council, not the FDA for the actual ban. We’d wager that outraged parents also have a lot to do with getting BPA out of baby bottles as well. Overall, it’s hard to send hugs and love to the FDA for this decision. Banning BPA in food packaging. Getting BPA out of baby formula cans. Slamming those pesky sunscreen laws into place. Cleaning up the insanely gross food supply here in the USA. Eliminating horrid chemicals like phthalates and triclosan from everyday products. Clearing up shoddy body care labeling practices. Getting excessive antibiotics out of meat and dairy. Making sure PFOAs aren’t in cookware. Figuring out what to do about flame retardants in baby products. If I can come up with the ideas above, which frankly were just quickly off the top of my head, just imagine what an entire organization, like the FDA might accomplish if they tried. Talk about frustrating. 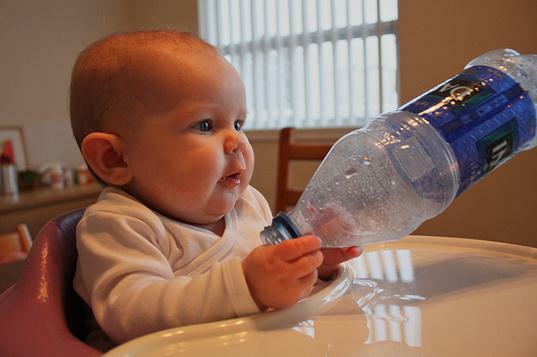 Baby bottle manufacturers voluntarily haven't used bisphenol A (BPA) in baby bottles for years. In fact, you're hard-pressed to find BPA laden baby bottles at all at this point. Apparently, the FDA thinks this calls for immediate action, so on Tuesday they announced that from now on BPA is officially banned in baby bottles. Seriously? Excuse us while we fail to get excited. First of all, the ban is only for baby bottles. The official ban does not cover other uses of BPA, such as BPA used in containers for baby formula, water bottles, soda bottles or in the linings of canned foods or other food packaging. CNN�notes that this decision is ��largely symbolic,� while the New York Times�credits the American Chemistry Council, not the FDA for the actual ban. We'd wager that outraged parents also have a lot to do with getting BPA out of baby bottles as well. Overall, it's hard to send hugs and love to the FDA for this decision.